My business partner told me she needed to drive to Richmond for an appointment. I said, "Watch out for the crazies." The last time Kathleen's parents prepared to return to Waco after a weekend visit I said, "Watch out for the crazies." The typical thing to say is "Have a safe trip." Or "Drive safely." We say this to people who are about to get in a car and take their chances on the highways. To them I say, "Watch out for the crazies." The crazies are the other people on the highway who represent a clear and present danger to you. As you motor along, look into the windshields of the cars approaching you. Some of these people drive as carefully as you do. Some of these people are as responsible behind the wheel as you assume they are. But some of them aren't. These are the crazies. In spite of your generous opinions of your fellow drivers, in spite of your innate trust and hopefulness, there are more crazies out there than might think. The flakes, the bozos and the clueless who make irrational decisions. Foreseeing consequences is not their strong suit. These are the folks who are susceptible to road rage. And the NASCAR wannabes who imagine they'll be first to cross the finish line. And don't forget the karaoke kings and queens who sing along at the top of their lungs with the pop music on the car radio. While they're imagining themselves on stage one step away from stardom, guess what they see through their windshield? Nothing. Late people trying to make up time. They risk their lives speeding and passing on two-land roads to get to McDonald's fifteen seconds earlier. Mavericks and outlaws. Proud independent types who think rules and regulations are uncool and traffic police are stupid Nazis. Tourists. Do you live near a destination? Their brains are turned off because hey man, they're on vacation. They have no idea where they are or where they're going. They squint at road signs and read maps while they drive. Party animals. Alcoholics. Druggies. Feeling wonderful in their altered states of consciousness, hooting and hollering and making history with their fellow party animals. Behind the wheel. 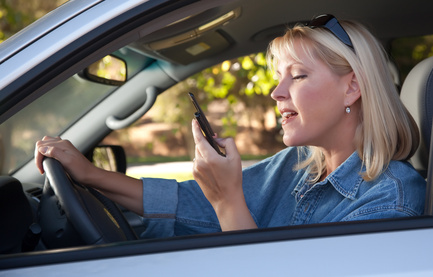 People driving while having animated conversations on their cell phones. Or with fellow passengers. Very hard to do this well and pay attention to the road. Actually, it's impossible. But hey, they weren't texting. The texters. They cannot, I say cannot be aware of changing conditions on the highway while texting. More dangerous than drunk drivers. Parents trying to control kids misbehaving in the back seat. People enthralled watching birds, sunsets, the ocean, etc. Their final image as they exit this life will be of the wondrous beauty of the natural world. Senior citizens with driver licenses who have macular degeneration, impaired judgment and slow reactions. Even driving while breathing oxygen from a bottle in the passenger seat. I'm not making this up. Angry people. Sad people. Stressed-out people. Exhausted commuters heading home from work. People visiting from other countries who find our traffic system perplexing. I'm not suggesting you get paranoid about it, but it makes sense to acknowledge what's really out there, coming at you in the opposite lane. At a high rate of speed. In their heavy metal projectiles. They aren't really crazy, but they drive crazy. And not all drivers, not by a long shot. But more than you may have thought, using bad judgment, as if they were actually mentally impaired. They don't really want to kill you, but that's the danger they represent. So seriously - watch out for them. The crazies. This is one of my favorite of your posts so far. Buck and I are always on alert for "the crazies." When I go off someplace in the car by myself, Buck can hardly stand it. He worries about the crazies, and I have to reassure him that he has taught me well to be wary and defensive not only on the highway, but in parking lots and everywhere else. Yes, all your points about the times when we all might be irresponsible behind the wheel are well taken...I'm afraid I've done too many of these, fortunately I've been very lucky. We need to be careful to not do these on the road ourselves and drive conservatively to avoid those who put us in danger. Just worried about the people from whom you distinguish from and label the "really crazies"...and how this term is not compassionate, respectful or caring for those with mental problems that are not at their immediate control. You want to be humorous, What label could you find instead? Be safe from Tigers... ? Idea taken from Alexander King's book, "May this House be safe from Tigers." The only point I'd take issue with is the 'exhausted commuters driving home'. In fact the safest time of the day to drive is peak hour (technically peak 3 hours)!